Cabin life is enjoyed by nearly everyone. This is due to its stripped-down minimalism that emphasizes the things that really matter to one’s self. Possessions, clutter, busyness, and a frenetic lifestyle are all left behind. Being in tune and in touch with the natural world promotes true reflection that can lead to positive and lasting change in your life. The occasion of selling these works—packed with so much wisdom and beauty—is bittersweet. I acquired them a decade ago, at a fraction of their value, with high hopes of reading them all. Alas, their true worth has been squandered. They sit in “display” on the bookshelf, partially concealed by a disarray of other books in various states of consumption. This is a travesty. I can see they need to be sent to a home where they’ll be appreciated and USED. This is the trap of anything that is potentially “valuable.” These sorts of items frequently clutter our lives—stored uselessly away as if in a bank vault—and fail to enrich our lives. The moment in childhood that I learned that baseball cards were potentially valuable comes to mind similarly. It was a loss of innocence and of the pure joy of collecting. The albatross of tens of thousands of cards continues to haunt me to this day. People should read Tolstoy. Period. It takes work. SO MUCH WORK! However, after you’ve cracked the code of various names in the first 100 pages or thereabouts, his world comes alive in such vivid color that the experience verges on the ethereal. You might be asking at this point, “How does this relate to cabin life?” Great question! For years I wanted to live alone in a tiny shack for at least a full winter, or even a lifetime, where I’d spend my time reading, writing, contemplating, exploring, and occasionally entertaining. Ultimately I chose a wife and family over this ideal, and was happy to do so.Following my engagement in the winter of 1999, however, fulfilling some aspect of this dream became imperative. I had previously spent a winter in a wilderness cabin near the Canadian border, written about at length in my upcoming book, but I had a roommate and I wouldn’t consider it a tiny shack. 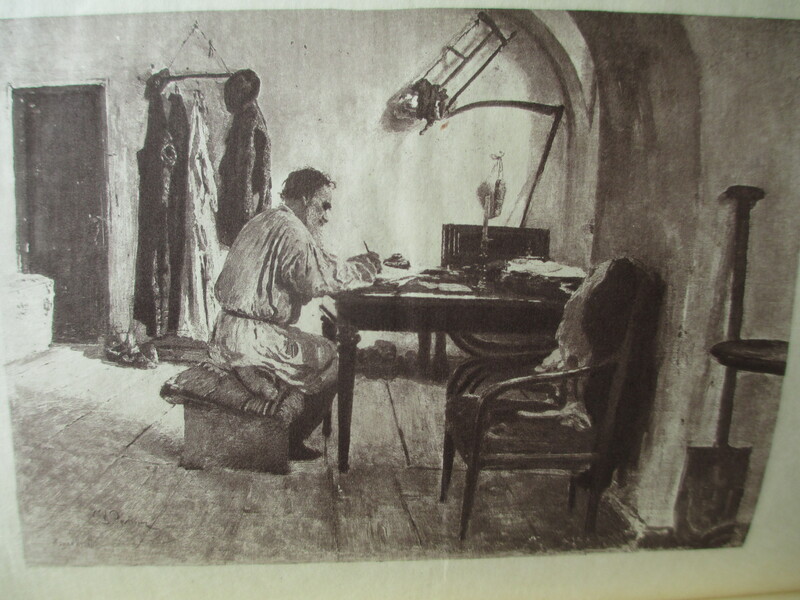 Additionally, my writing at this time consisted of keeping a journal and dispatching lengthy letters to the outside world. I didn’t aspire to crafting books at that time. To partially fulfill this dream—my equivalent of sowing my wild oats—I exhausted the contents of an entire week during a college break by spending it alone at a friend’s cabin deep in the woods 50 miles north of Duluth, Minnesota, near the sparsely populated old Finnish settlement of Toimi. I immersed myself in the world of Leo Tolstoy’s amazing novel, War and Peace, engaged in various chores, and luxuriated daily in a genuine Finnish sauna, which, thanks to my friend Brandon, became a lifelong obsession. The sauna was the conclusion to each day, a splendid opportunity to reflect on lessons learned, but the real gift of the experience was completing this book. I had purchased a paperback version of War and Peace, containing tiny font cast voluminously across 1,456 pages, and had even brought it with me to Russia during a six-week stay—where I failed to become interested in it in the least. I was stuck around page 80, and merely picked at a page or two at a time. Reading a work like this requires commitment and devotion. Perhaps it’s a bit like wooing a potential lover. The book came alive beautifully within Brandon’s cabin. Action is interspersed with tragedy, loss, family, and a love story. I thrilled in the love story especially. It made me into a better lover of my future wife actually! I became more passionate, gutsy, romantic (at least temporarily), loving, and all that stuff that doesn’t come so naturally. I had no other real examples in life outside of this book. Shawna, now my wife, was also my first girlfriend. My parents were divorced when I was very young (they separated the day after I sparked a fire that nearly burned the house down, but that’s another story). While thrilling in the book I even heard the occasional bullet whistling through the forest. Was my imagination carrying me back to epic battles from the War of 1812? At first I thought this must be the case. A bullet sailing through the air travels at twice the speed of sound, and glides through the air alarmingly quietly as it whistles between the trees in your vicinity. SO FRIGHTENING. Twice a day, all week long, the alcoholic that lived between a quarter and a half-mile away as the crow flies, fired his rifle randomly outside his cabin door. Later I learned from Brandon that this is how the man spends his offseason away from the large ships where he earned his living on the Great Lakes and on the high seas. I’d hear the bullet sail by, and all I could do was pray to not be hit while trying to stay concentrated on the story. Ten or twelve bullets were fired randomly over a period of perhaps 10 minutes. While terrifying, the War of 1812 certainly became more vivid as I was put into the place of women packing up their belongings to flee their homes while Napoleon’s troops advanced, and husbands and sons were tragically killed. It took a while to find my rhythm at the cabin, but eventually I fell into a steady groove. Each day ended in the sauna. The structure is over 100 years old, and is comprised of hand-hewn squared old-growth timbers. A fantastic woodstove graces the sauna—a sturdy barrel stove. It is more than capable of heating the room to the desirable temperature of 185˚F and to uncomfortable temperatures beyond 200˚ even. Another barrel rests vertically, which is filled with water. The water naturally circulates without any kind of pump through pipes that run along the heated stove. This water is transformed thus, as if it were removed from the Fountain of Youth, and provides the most amazing bathing experience I’ve ever had. Shampoo and soap are slathered on generously. Sweat, grime, and suds are washed away with ladle after ladle of warm water, and followed by a douse of cold for a sense of minty freshness. I have never felt so clean as after emerging from this portal into Finnish culture (very similar to Russians in this respect) to stand out in the snow wearing nothing but a smile as steam wafts from my bright red cooked-lobster-looking body in the frigid night air. This is a microcosm of what it is like to spend time in cabins deep in the woods. They leave you naked and bare, and can sometimes bring you to tears while showing you what kind of person you are without the masks so often worn when dwelling amidst civilization. Out there it is just you, your maker, the creatures of the forest, silence, along with your own thoughts and capacity for enjoying the stillness. I awoke at 4:00 am this morning, pondering such thoughts. I attribute this to Tolstoy and a great clearing of belongings as I continue to press on toward a more minimalist existence. Yesterday I purged several bags of papers that had cluttered the basement for nearly half a decade. I find it ironic that clearing out this forgotten debris, which absolutely failed to spark joy, would enliven my imagination so much, even though they were squirreled away in the basement! This is why I am utterly committed to getting rid of excess stuff. Even items as wonderful as a beautiful collection of works from my favorite author cause a needless cluttering of life. I compare this to growing up in the mess of my childhood home, where it was impossible for any creativity to be birthed. The same principle works out similarly for all of us, albeit to a lesser degree than in extreme cases of hoarding. We need space. As Debussy says, “Music is the space between the notes.” It’s marvelous to sense my imagination waking from a slumber, which has been induced by a laser-like focus on the details of putting my book into print, kindle, and as an audio version. Alas, it takes time. Life must go on! 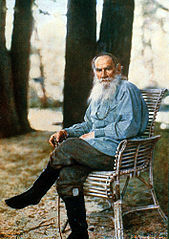 I’m under no illusions that my Tolstoy collection will actually sell. Such items may be worth money on paper, but reality can be a cruel friend in such cases. It’s a matter of connecting with the right collector, and even on Ebay this is not assured by any stretch of the imagination. The Emancipation of a Buried Man is now available on Amazon as a print book. Soon the electrons will be configured for the Kindle format if you’d like to save space and money. Finally, an audiobook version will be released in the coming weeks as well. I greatly enjoyed making these recordings in my closet! It has been digitally mastered professionally, and turned out pretty swell if I do say so myself.